As a dog owner, you love to take your dog along with you to all kinds of places. Whether it is to some park far off from where you live or the vet’s office or even to a pet-friendly hotel while on vacation, there are more places than ever before where you can take your dog with you. Of course, as with all pet travel, you need to give your dog or other pets a space to stay in while traveling whether it is in a car, plane, or train. This could be in the form of a dog crate, dog carrier sling or other sling carrier, a dog backpack carrier, small dog carrier, shoulder strap, a soft-sided dog carrier, a designer dog carrier, or even a bicycle dog carrier the list is almost endless. 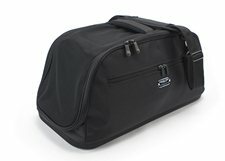 You will have to get a dog carrier with you when taking your friend out somewhere with you. You certainly don’t want your dog to roam around the inside of your car or other spot while in transit. You will still need to find a quality dog carrier that your dog will be comfortable with. This should be a model that isn’t going to make the dog feel scared or worried. More importantly, it needs to be a carrier that your dog will be comfortable with. Make sure your carrier can fit into your vehicle or that it can also fit in a proper airplane or rail car depending on how you plan on traveling. Check the size of your dog breed and order a carrier that fits that dog quite well. The options you will read about here come in various sizes. Avoid buying anything that is oversized. 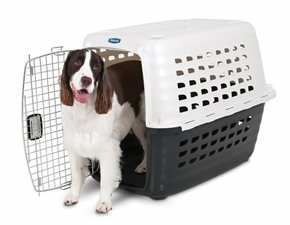 You need to get a carrier that has enough space for allowing your dog to move around and to get into different positions. Anything that is too large might be risky as your dog could be harmed if there are any bumps or other sudden movements in the vehicle you are transporting your dog in. Look for something that is about three or four inches higher than your dog if possible. See that the door on your carrier is firm and secured properly. It should be strong and not at risk of coming apart easily. 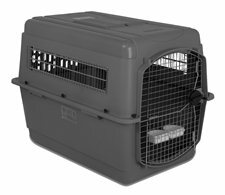 A carrier must also have plenty of ventilation so your dog will not feel cramped. You will need to allow your dog plenty of time to explore the carrier before using it for the first time. With that in mind, your carrier should be one that you can add a blanket or other familiar items into with ease so your dog won’t feel worried or nervous. The Sleepypod Air is a mobile bed that features a flexible design. It offers a mesh body that provides ventilation all around for your pet. It has a flexible body so your pet doesn’t have to be in the same position all the time. You can also open up the carrier on all sides so your dog will have an easy time staying in the carrier. This works best for dogs up to 20 pounds in weight. This next carrier is designed for small dogs of all sorts. It is about 17 inches long and 13 inches high. It has a hard top and base and ensures a firm surface that isn’t too hard to get on. The ventilation around the sides is comfortable while the sides can be folded down as needed. They can stay upright and lock up in a gentle position when used right. Also, the padded mat on the floor keeps your dog comfortable. A zipper also keeps the door secure while the mesh screen allows the dog to see through while getting enough air moving all the way through. This next choice is available in a variety of sizes for different dog breeds. Petmate has choices for smaller dogs and even a much larger one for dogs up to 125 pounds in weight. This is made with a sturdy plastic body and has non-corrosive plastic wing nuts and sturdy steel wire to keep the door protective. The four-way ventilation around all parts of the carrier ensures that enough air will move around without obstructions. Clip-on bowls are included to help you secure water and food bowl onto the inside part of the door. There is also plenty of space on the floor for you to add a blanket or other comfortable material on it. SportPet has designed this kennel in five different sizes. In addition to coming with plenty of ventilation, this also comes with a series of wheels. 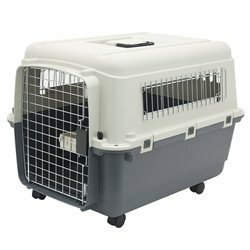 This allows you to move the kennel around well while in an airport or other large public space. You can also remove the wheels if needed. It only takes a moment to lock the wheels onto the base or to remove them. The wide design of the kennel also provides your dog with enough room to walk around while also creating a base that you can add a familiar blanket or bed surface into. A few tie-down holes are also included around the ends. These are for gungees as required by airlines for securing your dog in place while in transit. Petmate made this choice with six sizes. 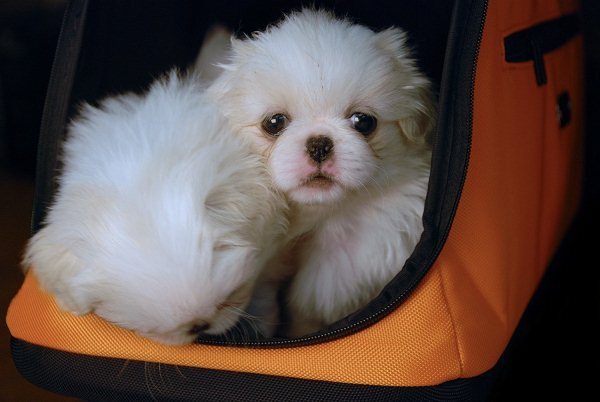 The smallest is for dogs up to ten pounds in weight while the largest is for breeds 70 to 90 pounds. This offers a 360-degree ventilation setup that allows air to move through the top and bottom parts of the kennel. Also, the chrome door is strong while being oversized to allow your dog to get in and out of the kennel with ease. This does require assembly on your end. It is very easy to set up with a slide and snap setup with no tools required. The door will quickly secure itself onto your door without problems. 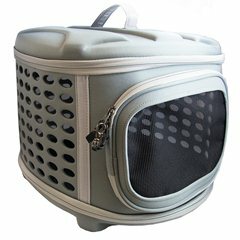 Make sure when finding the best dog carrier that you look carefully at options that you know your dog will be comfortable with. You don’t want to get anything that might be too difficult for your dog to be in.